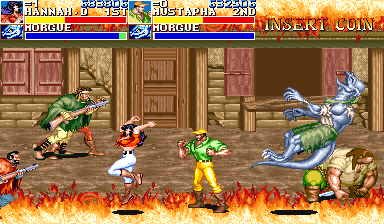 Cadillacs and Dinosaurs is a Final Fight-style brawler by Capcom. 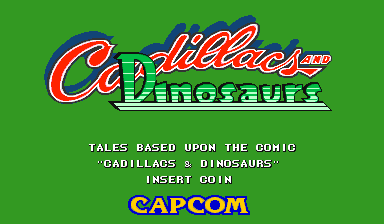 It's licensed off of an obscure comic book series and TV show about a group of dinosaur protectors 400 years in the future who drive around in Cadillacs. 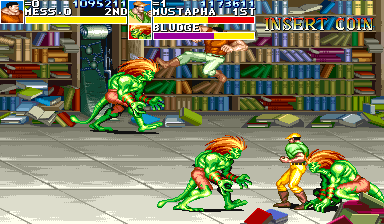 It features a handful of special techniques and a ton of weapons, including guns. Help! Dinosaurs are attacking!!! That's imposible, they rarely attack people. This must be the black marketer's doing. Hurry up and finish skinning that thing. I just don't understand why the black marketeer's doing this. We gotta stop them at any cost! They just keep messing with the balance. This time I'll crush them!! 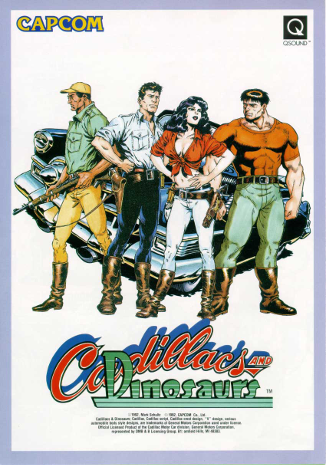 Cadillacs and Dinosaurs is based off of a comic book entitled Xenozoic Tales. However, it was developed as a tie-in to the animated series, released with the same title in the same year. Jack, Hannah, and Mustapha are all important characters in the comics. However, Mess is minor character who's only present in a sidestory. 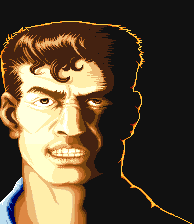 He was likely added to round out the roster with a slow but powerful character. 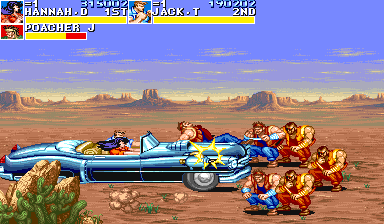 Cadillacs and Dinosaurs deserves its status as one of the most beloved brawlers of all time. 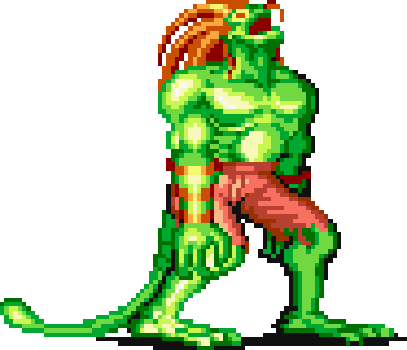 Every aspect of its design is oozing with that juicy Capcom quality you know and love. 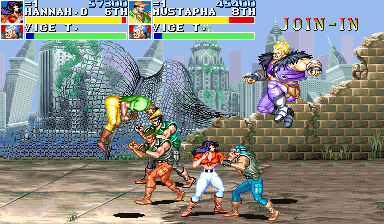 Although it lacks a gameplay gimmick, its combat is extremely tight and satisfying. Its phenomenal presentation is backed by its one-of-a-kind setting.